The 2nd of Janek Schaefer's two new albums for Dekorder presents a pair of ecstatically vaulted and longform compositions. In contrast to the willowy drones of 'Unfolding Luxury beyond the City of Dreams', this record documents Schaefer's more highly-charged, almost ecclesiastical style of composition in two pieces originally written for installation and exhibit. 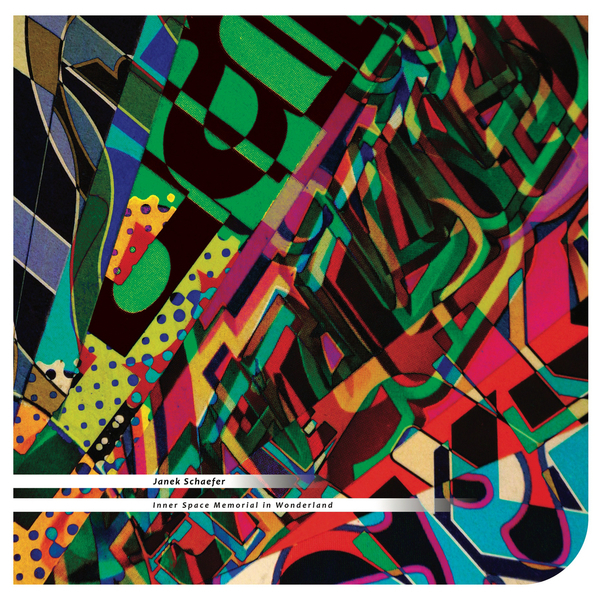 The A-side's 'Inner Space Memorial in Wonderland' continues a long tradition of Janek writing in tribute to J.G. Ballard - quite recently with 'Lay-By-Lullaby' - featuring twenty one minutes of sweeping, glistening and breathless organ and strings that were once played thru a pair of speaker cones facing back into the void of their cabinets in a nod to the short story, 'The Enormous Space'. There follows 'Wonderland', the finale to Janek's exhibition soundtrack for 'Asleep At The Wheel', using location recordings made in middle of the night on a footbridge over the M3, at the bottom of J.G. Ballard's street. It's a twenty minute daydream of a piece, simulating a curious sort of suburban somnambulance in its hazy tone streaked with transient noises.